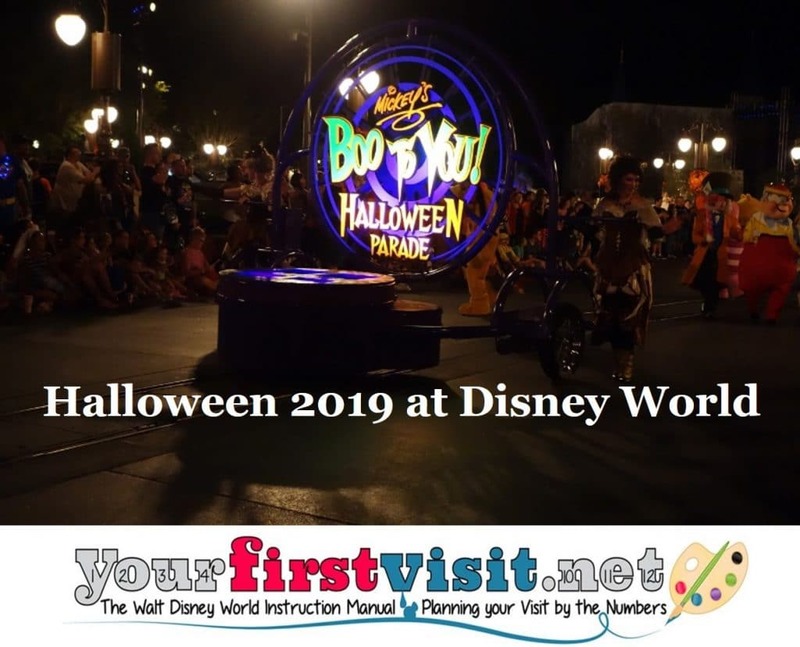 While Halloween itself is October 31st of course, Walt Disney World provides a special Halloween celebration at the Magic Kingdom many evenings in 2019, from August 16 until November 1. 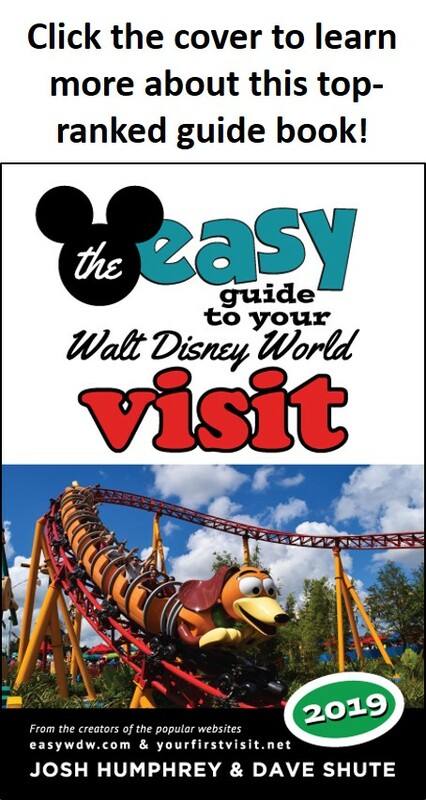 This celebration is called “Mickey’s Not-So-Scary Halloween Party,” or “MNSSHP” for short. 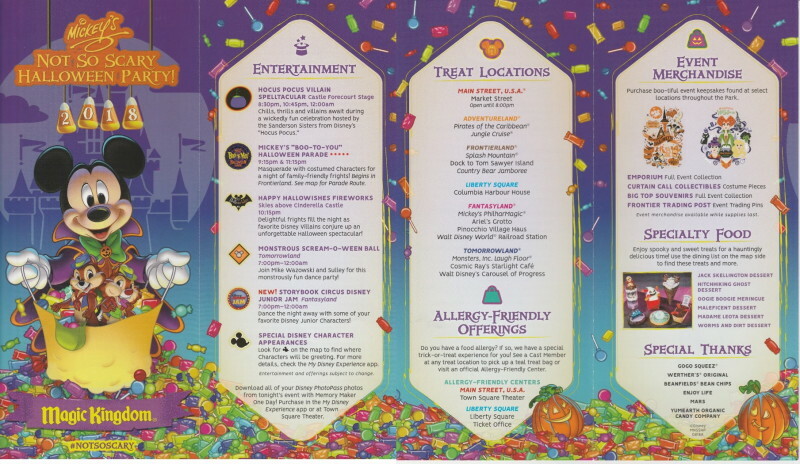 At the party, many of the Magic Kingdom’s rides are open, and trick or treating, special events, and different parades and fireworks are offered. 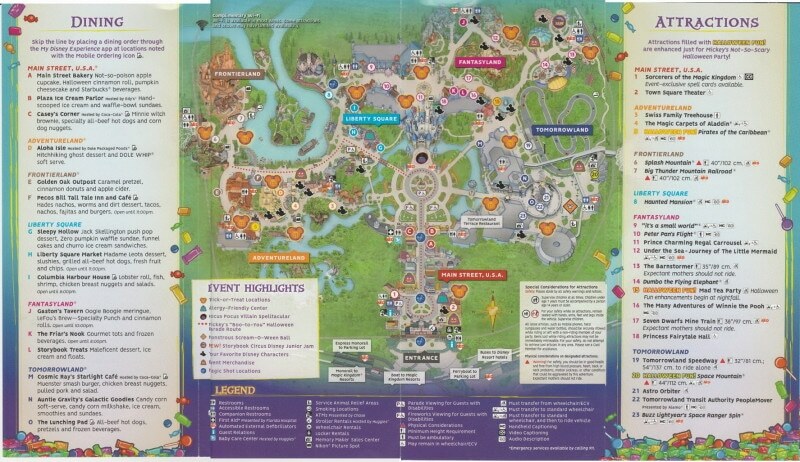 The official Disney World page for this event can be found here. My review of the 2018 party is here. Click the images below for the 2018 brochure.